As such, many Filipinos who grew up in above-lower-middle-class households have never experienced ironing their own clothes. 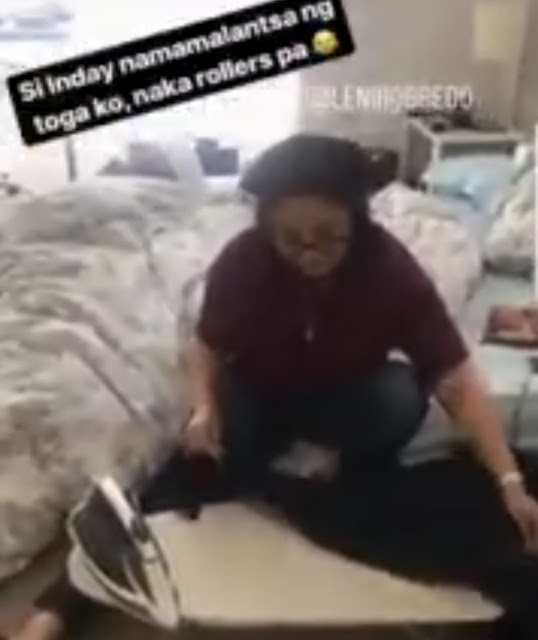 This is likely the reason why what would normally be an unremarkable video of a woman ironing clothes would go viral in the Philippines. Note the caption on the video where the subject is endearingly referred to as "Inday" which is the stretotypical name of the quintessential Filipino woman-servant many Filipinos grew up barking orders to. That such a video would resonate strongly in Philippine society simply indicates just how small-minded many people are -- in this case, the vast swathe of Yellowtardom that regards Robredo as a goddess of all that is "decent".